Hi, Looking to buy a folding bike for around £150 - I'm 6ft4 and 20 stone. Can anyone help?? Don't mind being a bit squished on the bike. Don't mean to be rude but is a foldable bike a good idea for someone your size/hight/weight? Surely you need something a bit more solid. With a small foldable bike you'd end up looking like Bowser. I was also quite large at one point and this was what I was told. Not to worried about that - Just need something to cycle about a mile each way as a commuter, that I can sling in the back of the car. Without sounding rude, i fear you may swallow the seat up. I would recommend you visit a bike store and try a few out before purchase. Without sounding rude, i fear you may swallow the seat up.I would … Without sounding rude, i fear you may swallow the seat up.I would recommend you visit a bike store and try a few out before purchase. At least he is doing something about it. Try Go Outdoors as they regularly have offers on folding bikes. Most normal bikes have quick release front wheels. They tend to fit in car if the back seats are folded down. I got a raleigh folding bike from halfords a couple of years ago, the good thing about halfords is they set it all up for you and is ready to go, it was just over £150 but i can put it inside my car boot. Its has a few shimano gears and folds very easily, and is suitable for tall fat people.It looks like the Evo 7 but mustve been a previous model unless its doubled in price. Not to worried about that - Just need something to cycle about a mile … Not to worried about that - Just need something to cycle about a mile each way as a commuter, that I can sling in the back of the car. I have a full size bike & I can fit it in the back of my car! Definitely check Ebay. I bought a really nice 20" wheeled folder with a proper seat (not a razor blade!) for £40. Like new, and still going strong. Do a local search in case someone in your area is selling one too. You might stumble upon a bargain. If you're big and tall, I wouldn't go for anything less than 20" really. 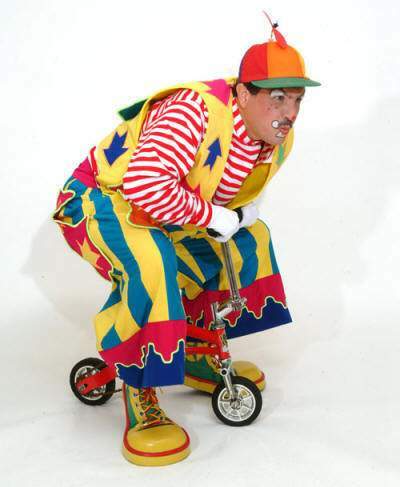 You don't want to spread your bulk over a tiny wheelset and frame - otherwise you'll end up looking like a clown on a circus bike which I'm sure you'd rather avoid. I've also seen some nice folding mountain bikes that were almost within your budget that looked good as well. Cheers for all your help and a load of sarcy comments! Job done now - Went for decathlon.co.uk/bfo…tml at £158 inc delivery - Be sure to check the for sale boards her in a week or 2 for a cheap one! Couldn't do a bigger bike as still need to fit a pram in back and can't get seats down as have baby seat! Cheers for all your help and a load of sarcy comments! Job done now - … Cheers for all your help and a load of sarcy comments! Job done now - Went for http://www.decathlon.co.uk/bfold-3-folding-bike-id_8248975.html at £158 inc delivery - Be sure to check the for sale boards her in a week or 2 for a cheap one! Couldn't do a bigger bike as still need to fit a pram in back and can't get seats down as have baby seat! Nowt wrong with that, my friend. It looks like a very nice folder with a decent warranty. The only quibble I would have with it is the lack of mudguards. Get yourself a really cheap set of "bolt on" ones - otherwise you're gonna have a nice brown streak up your back if there's even a hint of moisture! Also, this might seem a bit "mamby-pamby" but a cheap pair of bicycle clips can be handy to have in your bag as there's little to no chain-guard and your trouser hems can get black due to grease/oil etc. Apart from that, I hope you really enjoy your purchase, OP. Just in time for the nicer weather to arrive! Bike rack £15, get a proper bike.